Our native plant nursery is where is all begins. Kuranda Envirocare's Nursery is at the hub for our on ground activities. Solely run by dedicated volunteers, it provides our revegetation projects with all the native indigenous rainforest plants it requires. Read about our current projects here. 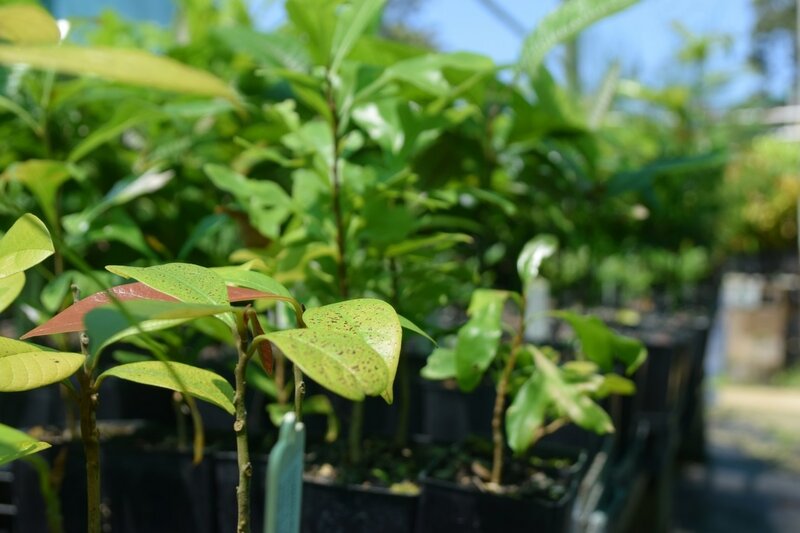 ​The nursery also supports the community to plant native trees on their blocks by providing local revegatation trees for a $2 donation. You can get involved by volunteering or just drop by to take look at the range of beautiful native plants and native hybrids we have on offer for your garden. ​All plants are a $2 or $4 donation, depending on pot size. Where are we and when are we open? ​284 Myola Road, Kuranda, just past the Kuranda Aquatic Centre and Kuranda district State College, on the right. ​​Mondays and Thursdays are our nursery volunteer days (9am to 1pm). ​The nursery is also open for sales on these days as well as Saturday mornings (10am to 12pm). ​The nursery operates completely on volunteer labour. We collect seed, apply appropriate treatment, sow seed and pot out seedlings when they are ready. ​When the seedlings are large enough, our revegetation team plants them in the field during our regular Saturday morning tree plantings. There's plenty to learn and do, all while having good chat! ​No experience is necessary to volunteer for nursery or planting days. More experienced nursery volunteers will train you on the job. We also have an educational DVD on techniques on growing and planting natives. 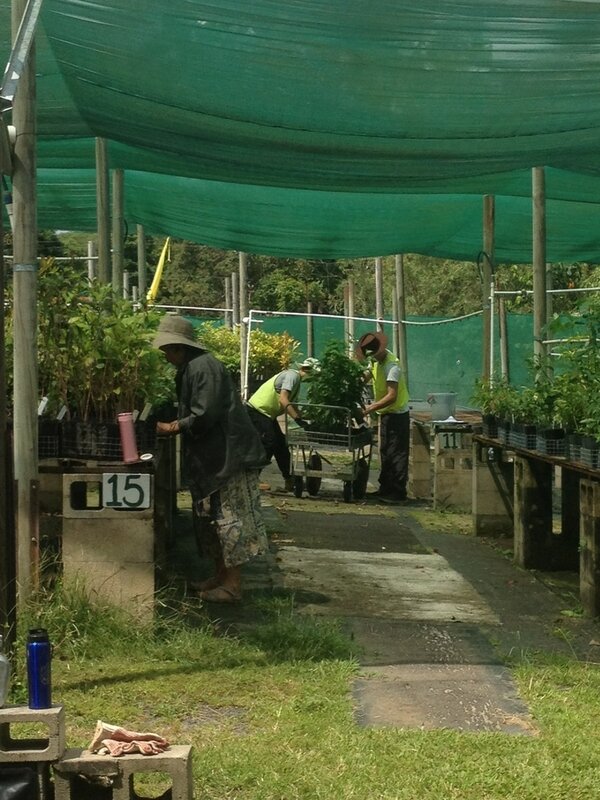 The majority of plants we propagate are suitable for revegetation in the Kuranda area. 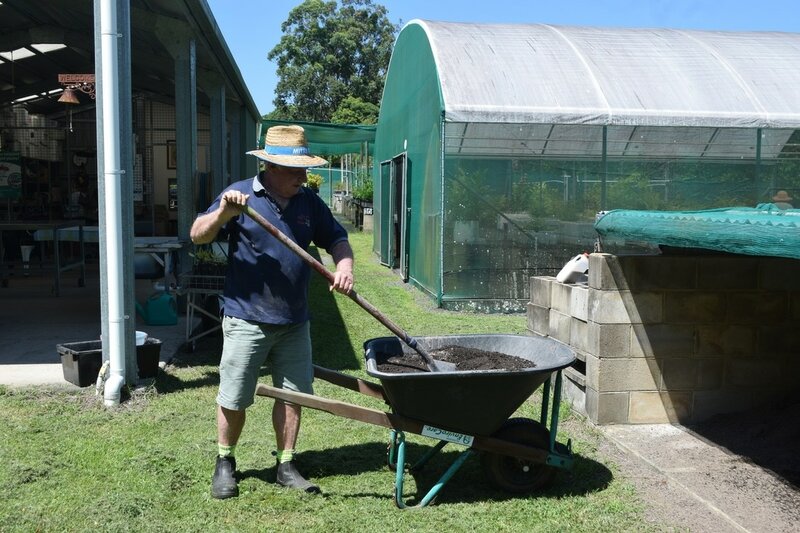 Landholders within the Kuranda Envirolink and Fairyland corridors receive free plants. A number of the plants we propagate are suitable for residential blocks, especially for attracting butterflies and birds. We will exchange plants for seeds, for your time as a volunteer in the nursery, or for your time on revegatation or other Envirocare “volunteer activities". As a member you will have access to all sorts of great benefits, including able to hire equipment, borrow from the library, and much more.